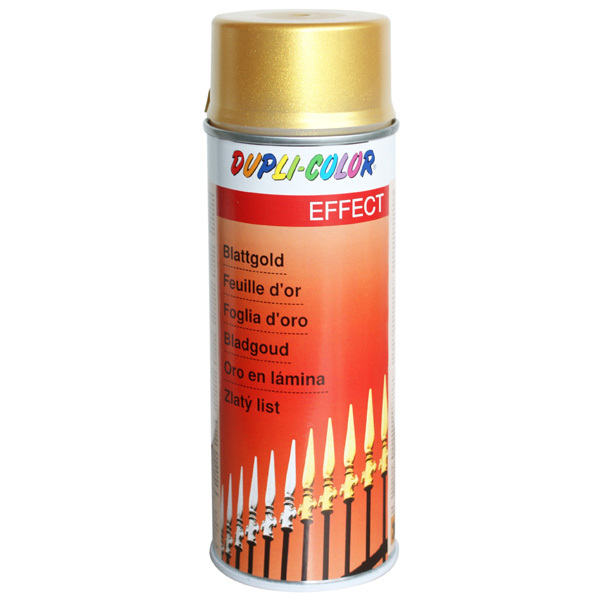 Decorative, quick-drying acrylic lacquer: Creates a look like gold leaf or silver leaf. 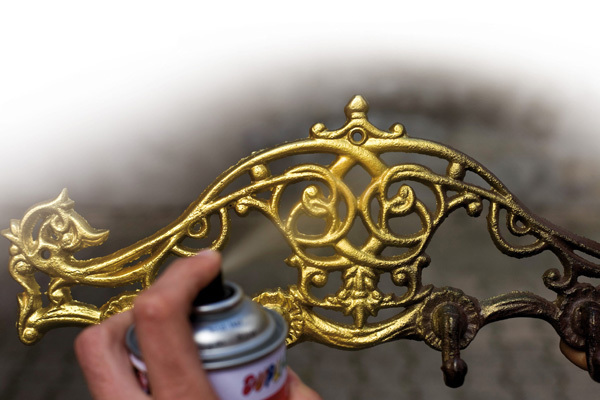 Noble metal appearance with high gloss in a abrasion-resistant quality. Therefore especially suitable for outdoors. 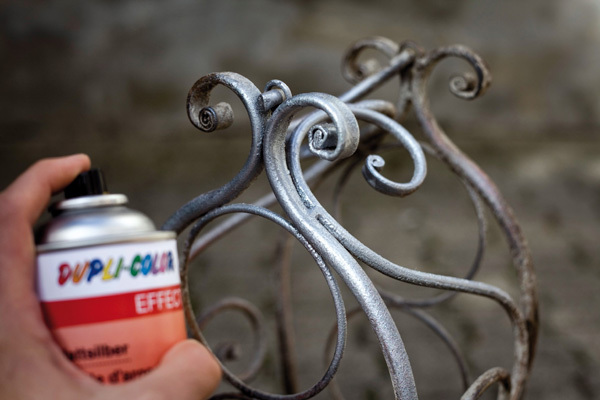 For use on metal, glass, ceramics, stone, wood, paper, carton and many other surfaces. Possible applications: picture/mirror frames, furniture, borders/ornamental battens, signs, Christmas and other decorations, etc. Optimal gloss will be achieved on a white ground. 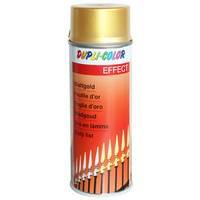 We recommend to prime with DUPLI-COLOR Effect Primer white art.no. 156366.